You’ve found a way to stand out in an oversaturated industry when everyone else seems to be doing the same thing. You’re attracting the right kind of followers who are not only interested your products and services, but they’re actually purchasing them. Your following is consistently growing. Your Instagram followers turn into clients and customers. The good news is that you can do all of the above without being pushy or salesy. In fact, Instagram is a fantastic way to unobtrusively market your business on Instagram without being salesy. Each week I host a free, live, one-hour webinar for creative entrepreneurs on topics that will help them build a successful business. I call the webinars Ellechats, and they take place every Thursday at 3pm EST. I recently asked Instagram expert, Caitlin Bacher, to join me in last Thursday’s Ellechat to share her approach to making Instagram work for your business without any gimmicks. Not only did she provide some fantastic feedback about standing out on Instagram, but she shared some actionable strategies for being proactive, gaining the right kind of followers, and funneling them back to your website. To catch the replay, simply register in the window below. To see a summary of my chat with Caitlin, keep scrolling. Why Instagram? What advantages does Instagram have over Twitter, Facebook, etc. when it comes to marketing your business? All social media platforms serve a special purpose, but you will not find a better platform than Instagram when it comes to building trust and relationships with your audience. Pinterest is great for driving traffic to your website. Twitter is great for building community. But you cannot replace that one-on-one engagement that comes with Instagram. What are some common mistakes you see people making when they’re trying to utilize Instagram for their business? This is my favorite questions because, as you can imagine, everyone makes these mistakes. I made these mistakes, too, when I first started out! So the purpose of going over them is not to make you feel bad or embarrassed, but to help you fix them. The first mistake people make is that they think they’re targeting a specific audience, but they’re not. And the reason for that is that they’re not specific enough. When you’re just getting started, you need to be very specific with the type of people you’re trying to reach. Once you figure out exactly who you’re trying to target, creating content is not only easy, but it’s fun because you can literally picture the person you’re talking to. But I see a lot of beautiful accounts with hardly any following and engagement. And the reason for that is that people are not being proactive on Instagram. You have to put yourself out there and go to people. Simply posting an image and including a popular hashtag is not enough. So what are some tactics for being more proactive and finding the right audience on Instagram? I can give you one tactic right now that’s super easy to do. All you need is one hashtag that your target audience uses. For me, a hashtag I’ve used for my community is #mycreativebiz. Open Instagram, enter the hashtag, and look at the 5 related hashtags at the top of the screen. Those top 5 are always changing, so you can check it each day to see which hashtags pop up. When you click on each of those hashtags, you’ll be presented by 2 choices: top posts and most recent. I always like to go to the most recent, because my target customers might not be all that popular. Then you can scroll down and see all of the posts that have used that hashtag. You can like pictures, look for people who you think would be a good fit for your services, and start to engage with them. Don’t pitch them - remember we’re not being salesy - but build a relationship with them. They might not follow you right away and that’s okay. But you’re taking a proactive step to connect with them and over time you’ll grow your following. Instagram is a crowded marketplace. How do you suggest standing out among people who are doing things very similar to what you’re doing? The thing that’s really going to make you stand out is injecting your personality into your content. People get held back by trying to please everyone. And what happens is that they end up creating this boring, vanilla content that just gets lost. Now I can tell you right now that whenever I post a strong opinion, 2 things happen: I sell stuff because it’s resonating with someone and people unfollow me. When I create vanilla content, 2 things happen: nobody buys anything and people unfollow me. So it’s really important that you find those pieces of your personality that people love and find relatable. Don’t be afraid to insert your character into your content and have an opinion. Growing your following is only half the battle. How do you get those followers to buy? Turning followers into customers is my favorite topic. There are 2 different ways that you can use Instagram to sell. The first way is to use Instagram as a tool to build trust and drive traffic to your website. An example of that would be, instead of asking people to buy something, asking people to read your latest blog post. Then, when they click over to read it, there’s already a content upgrade within the blog and you can build rapport with them through your list. This works well for really expensive packages. The other way to sell on Instagram is by offering a lower-priced product. You can advertise a $20 ebook or a $75 product - pretty much anything under $100 - and change the link on your profile to the sales page of whatever it is you’re selling. But prior to that, there’s a lot of work that needs to be done ahead of time; you need to give before asking. Ahead of the “ask” posts, you need posts that make you seem relatable, increase your likability, position you as an authority in your niche. You can give them value in many different ways, but it’s important that you give before you ask. A special thank you to Caitlin Bacher for joining me this week! 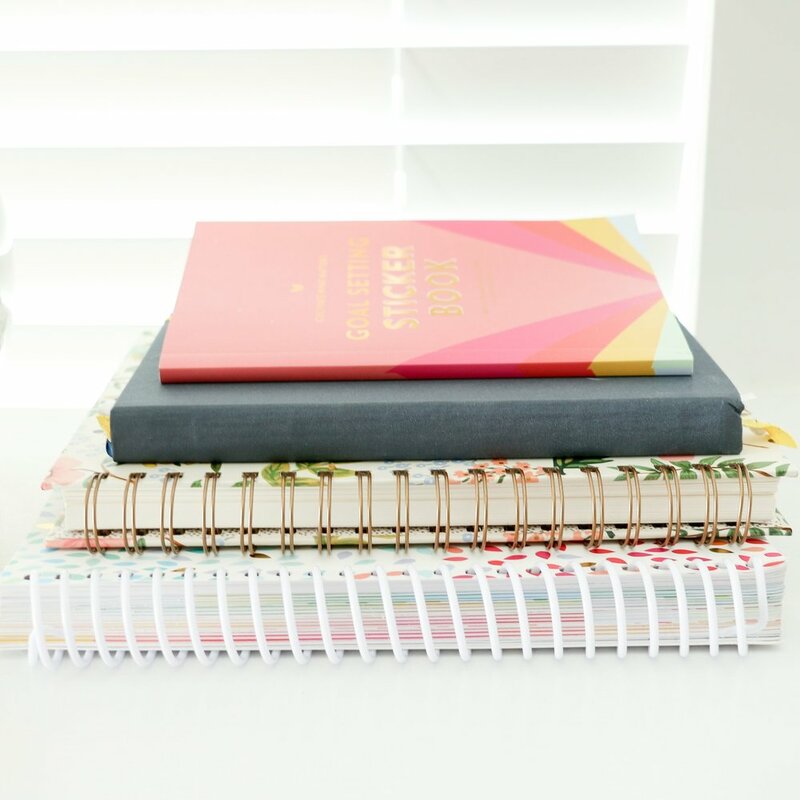 If you enjoyed her feedback and want to learn more of her strategies for non-salesy marketing on Instagram, be sure to sign up for her newsletter and register for her course, Wham Bam Instagram. 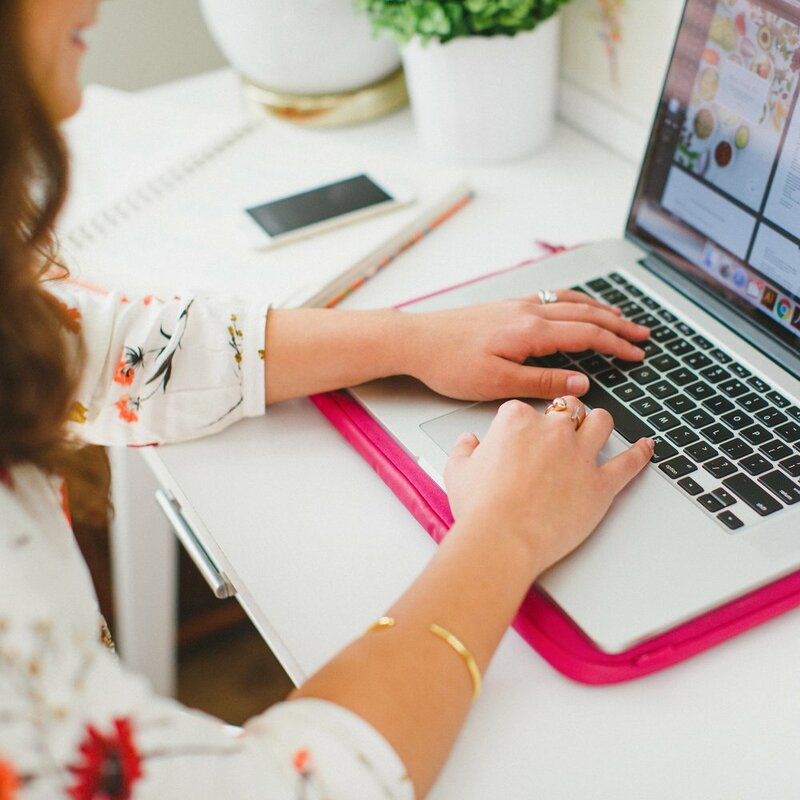 This Thursday’s live, free Ellechat webinar is on 7 Practices to Take Your Side-Hustle Full-Time. Join in live by registering here or catch the replay (along with all of my past Ellechat replays) on my Ellechat page. What’s your approach to marketing your business on Instagram? Which social media platform have you seen the most engagement and conversions from?